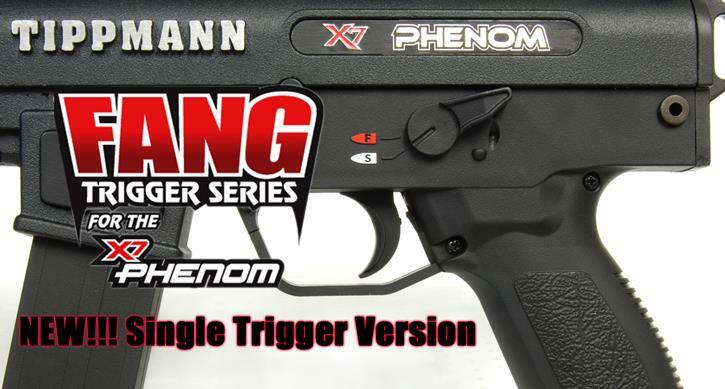 If you are looking for the best single trigger that money can buy for your Tippmann Phenom, look no further. 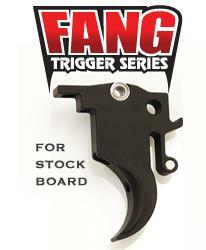 TechT Aluminum Fang Single Trigger with Trigger Guard for the Tippmann Phenom. Features dual roller bearings and 2 point adjustable. *WILL NOT WORK WITH THE APE RAMPAGE BOARD. For use with the Mechanical version and the E-Trigger version with the stock board.